Jordan Spieth has won 11 PGA Tour events and three major championships in his short but stellar professional career, which makes it hard sometimes to remember the days when the 24-year-old was just an aspiring golfer. Even though those days weren’t that long ago. In 2010, a then 16-year-old Spieth had begun making a name for himself at the junior golf level, having won the U.S. Junior Amateur title the previous summer (one of two he would win) and being named the AJGA Rolex Player of the Year. 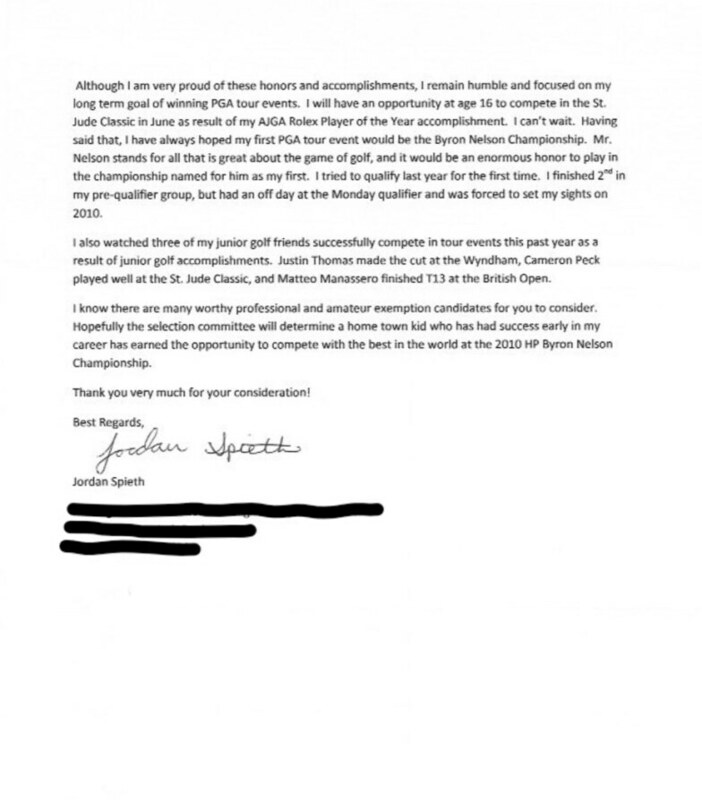 In the midst of building an impressive resume, Spieth decided it was worth reaching out to the tournament officials at the HP Bryon Nelson Championship to inquire about something that at the time seemed a little audacious: Getting a spot in the field at a PGA Tour event. No amateur had received an exemption into the tournament since Trip Kuehne in 1995, and Justin Leonard and Tiger Woods before that in 1993. 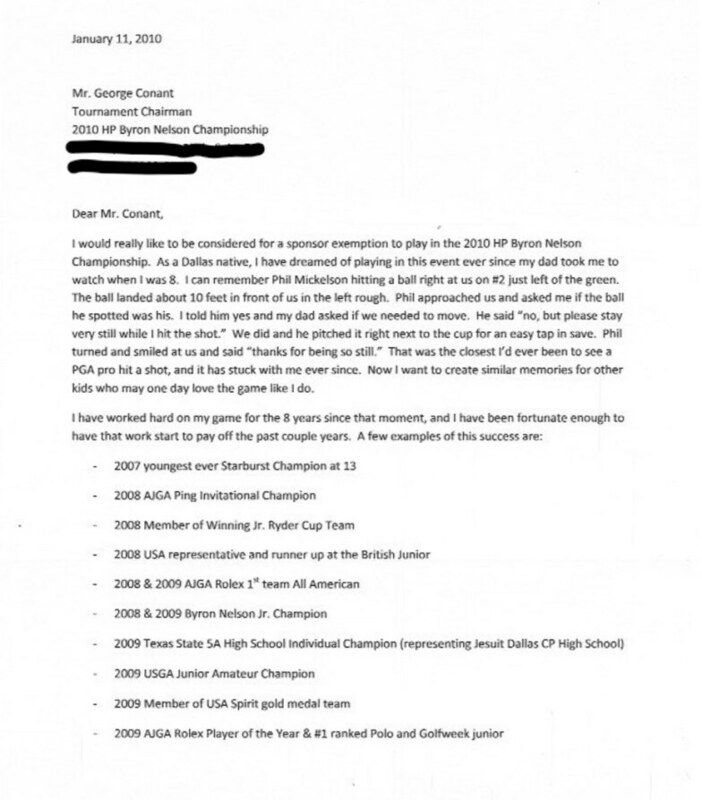 But Spieth, a Dallas native, wrote tournament director George Conant to make his case, and managed to convince him to let a high schooler play. It turned out to be a good call, Spieth made the cut and was tied for seventh place after 54 holes before finishing the tournament in a tie for 16th place. Celebrating the tournament’s 50th playing this week, officials with the now AT&T Byron Nelson released a copy of the letter. As you would have guessed, it has all the fingerprints of something the precocious Spieth would have written, complete with a humorous story about “meeting” Phil Mickelson while attending the tournament for the first time in 2008.